Home > News - May 2016 > India Black Money Disclosure Window opens from June 1, 2016. India Black Money Disclosure Window opens from June 1, 2016. 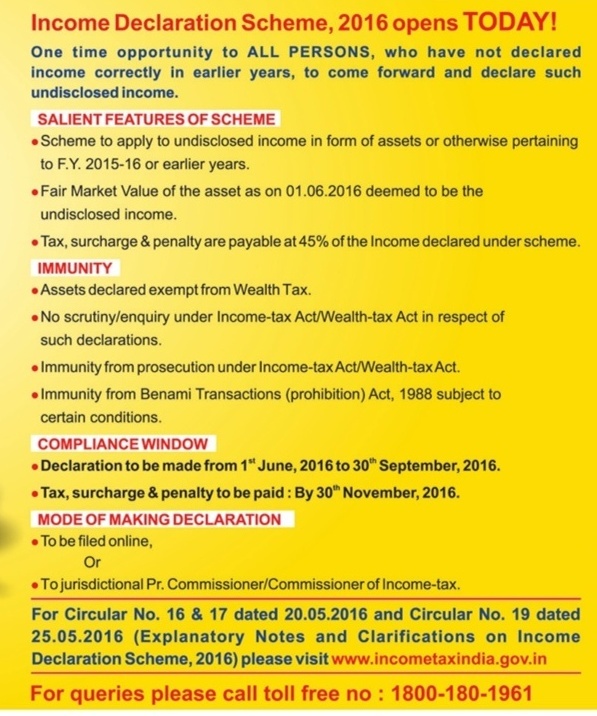 The 4-month disclosure window giving an opportunity to domestic black money holders to come clean by paying tax and penalty of 45% on such assets will open on June 1, 2016. People who have made money via corrupt means will not be allowed to take advantage of the window. 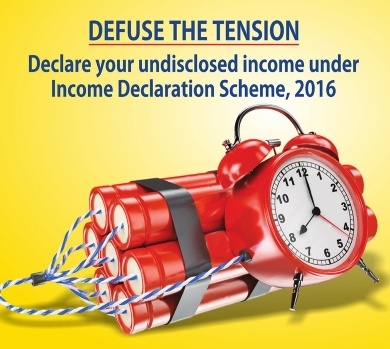 Under the Income Declaration Scheme, persons making disclosure of unaccounted assets will be given time up to November 30, 2016 to pay taxes, penalty and surcharge totalling 45% at the fair market value. The finance ministry officials have also held an online 'talkathon' to create awareness about it.